Check out our Flickr site for images from previous years! 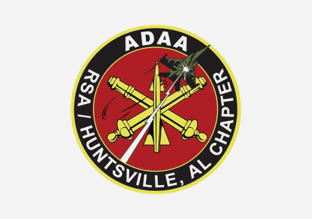 The Space and Missile Defense Symposium and its organizers – National Defense Industrial Association Tennessee Valley Chapter; Air, Space and Missile Defense Association; and the Air Defense Artillery Association Redstone Huntsville Chapter – welcome professional media members to cover this event. Event organizers require proof of employment as a member of the media to make certain that only qualified media receive media credentials and gain access to event sessions and the exhibit hall. Those seeking media credentials must present press passes, business cards, letters of verification or other identification (copy of editorial work; name on a masthead; link to an article previously written) when registering online, registering onsite or when picking up a pre-registered media/press badge. Freelance writers are asked to provide a reason for attending the events, which can be done through a letter or email from the publication being represented, or if working independently, a statement of editorial work will be considered. The above also applies for photojournalists/videographers. Event organizers can refuse to issue media credentials for any individual not fitting the above requirements. Advertising, marketing, business development, publishers, business operations and public relations personnel may not register as media. Tuesday, Aug. 6, 8 a.m. – 5 p.m.
Wednesday, Aug. 7, 8 a.m. – 5 p.m. There will be tables set up with chairs in the Media Suite that can be used for interviews and workstations. The room is not set up for large scale press conferences/announcements. Wi-Fi will be accessible in the Media Room and throughout the convention center. Background information, bios and copies of the presentations/slides that have been approved for release by the respective presenters will be available in the Media Room. If presentation slides are not available onsite, a request can be made to the Symposium Media Contact after the event has concluded, and it will be provided if approved for release. Media Kits will also be available in the Media Room from exhibiting organizations who choose to make them available. There are no embargo restrictions on any information at the event. 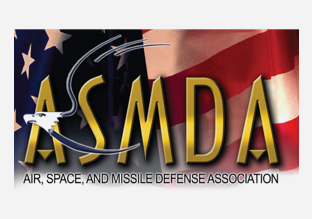 After obtaining media credentials, the SMD Symposium Media Relations Chair or designated representative can assist in receiving and adjudicating any requests for interviews with government speakers or participants. Her contact info is included at the end of this document. Media Badges must be worn at all times when attending the event. This includes attending symposium sessions/panels/roundtables and the exhibit hall, as well as during interviews with any event participants. Follow-up questions may be asked by the media after presentations, if specified by the session moderator or speaker. It is requested that media members clearly state their name and the publication, website or television network/station name before asking questions. All of the event’s scheduled sessions are considered “on-the-record” and open to the media; however, event organizers can elect to close a previously open portion of the program at their discretion and will communicate these changes appropriately to members of the media and attendees. Photography and videotaping is allowed in the symposium sessions as long as it is not disruptive. Audio recording in the symposium sessions is approved for the personal use of the media. These audio recordings may not be rebroadcasted in any format. All media members must obtain permission and releases (if requested) from any exhibiting organization/company they are photographing, videotaping and /or recording audio. Care must be taken when operating in the exhibit hall that only the organization/company that you have permission to photograph, videotape or record is captured. Neighboring companies/organizations exhibits cannot be included unless there is permission to do so. VERY IMPORTANT – Photos, videos and /or audio cannot be used by any organization or individual to inadvertently or purposely show Government or Industry endorsement for anything other than the event in which they are actively participating. The Media/Public Affairs Room Location will be provided at registration. Updates will be provided each day by 7 a.m. regarding changes in the schedule or other matters of concern to the media, via the SMD Symposium website. Please remember that press/media badges are a privilege and can be revoked by event organizers at any time. Reasons include, but are not limited to, the unauthorized photographing or videoing of exhibits, other than those exhibits for which permission has been granted, unauthorized photographing or videoing of symposium sessions where photos and/or video is prohibited, attending symposium sessions or functions where media are prohibited, and the solicitation of advertisements, exhibit space, sponsorships, etc. in the symposium and exhibition controlled areas.